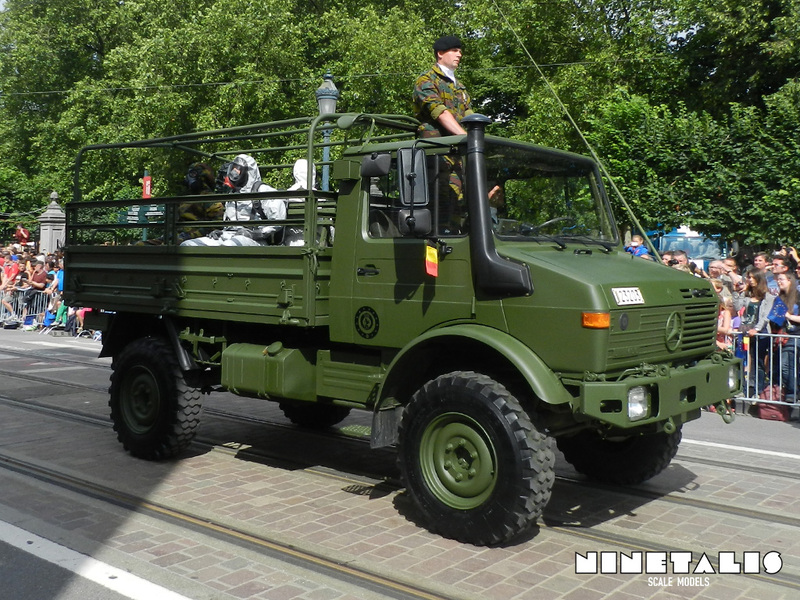 Below is some imagery from the Belgian Military Parade in 2015. 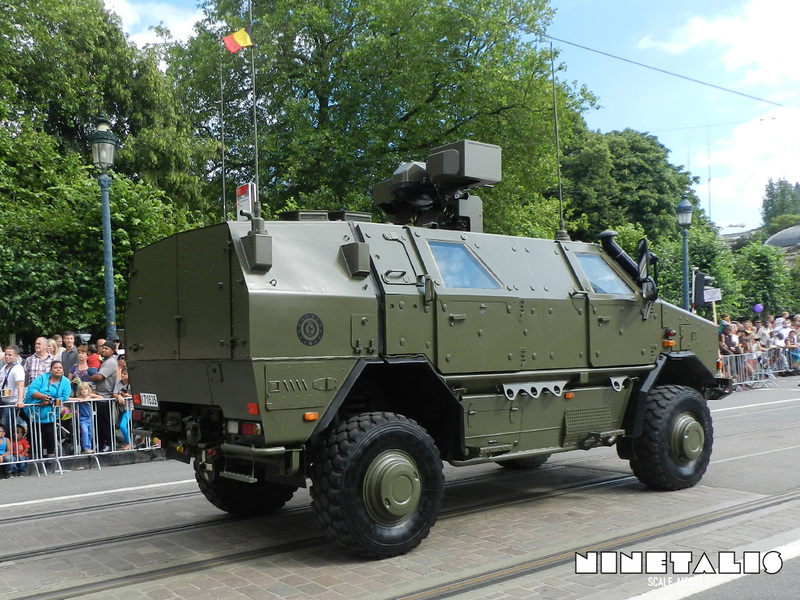 I don’t attend it every year because it is a bit too busy for me, but it does show a small grasp of what the Belgian Defence has in its inventory and provides some great references for modern armor builders. 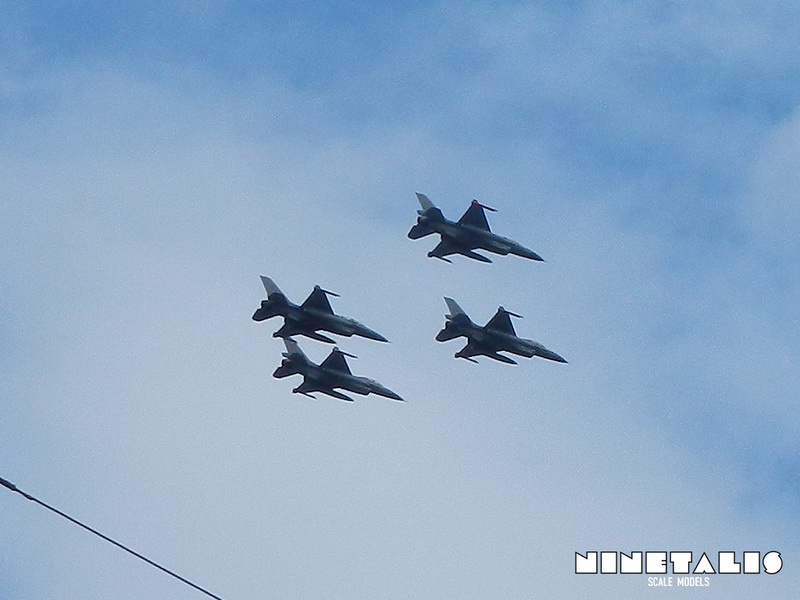 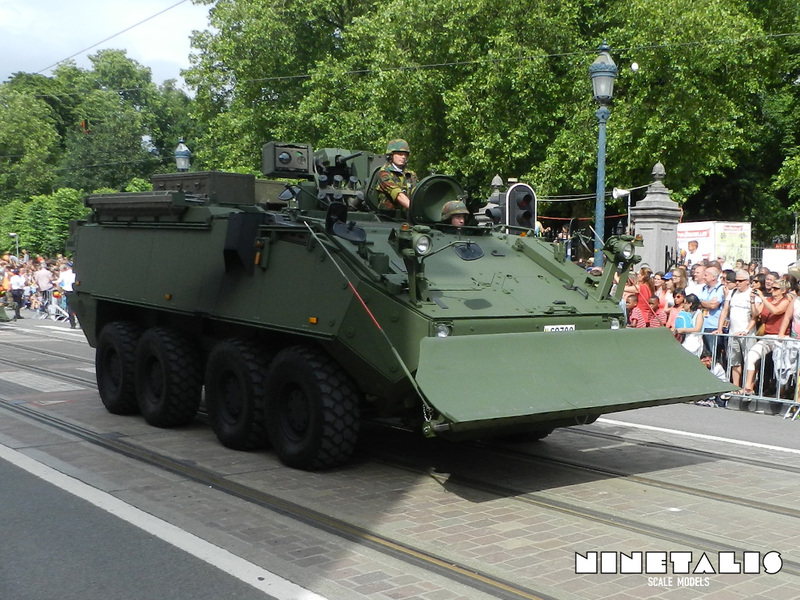 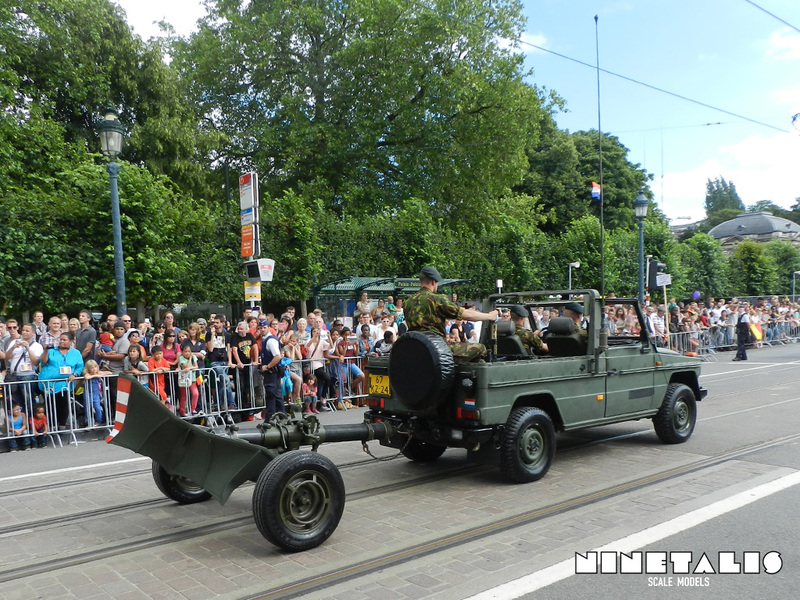 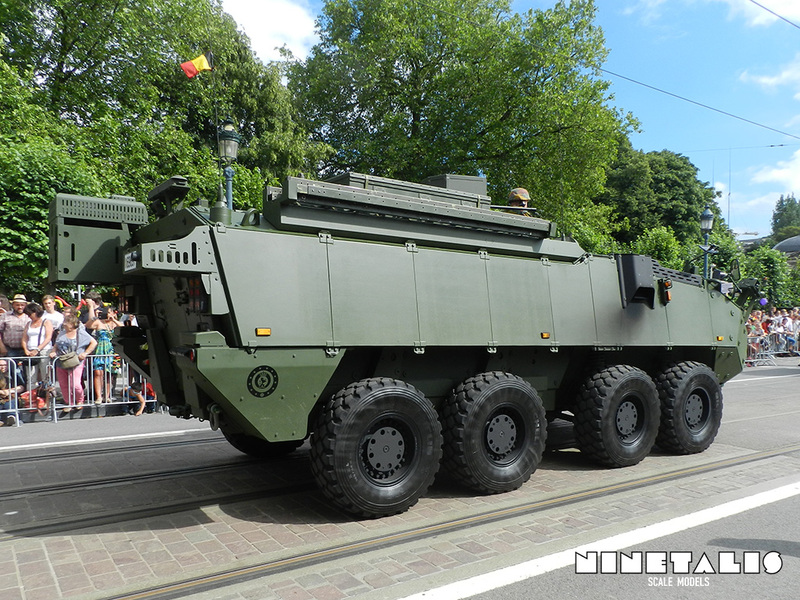 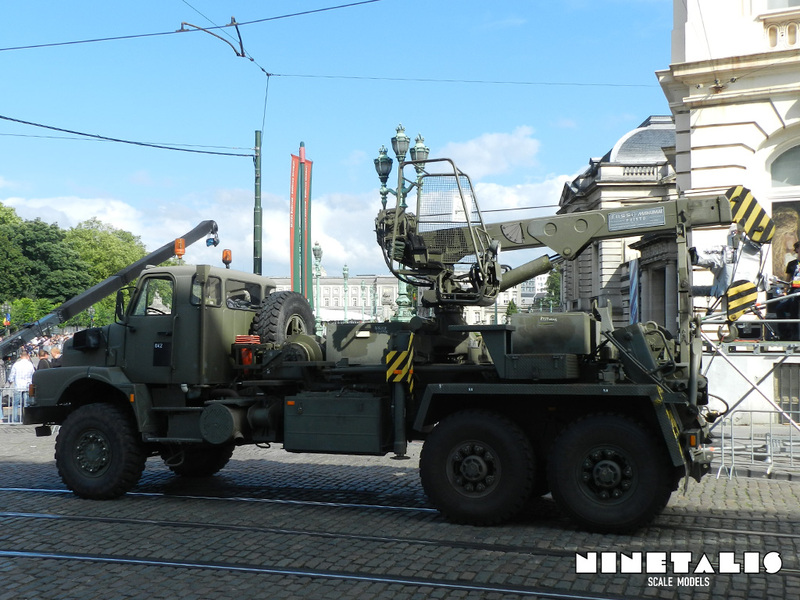 Special guests of the 2015 parade were the debut of the BAF NH-90 at the yearly parade and some items from foreign allies who operate with the Belgian like a German Bundeswehr MAN MLC30 truck, a Dutch Army Mercedes Wolf and two Luxembourg Dingo’s. 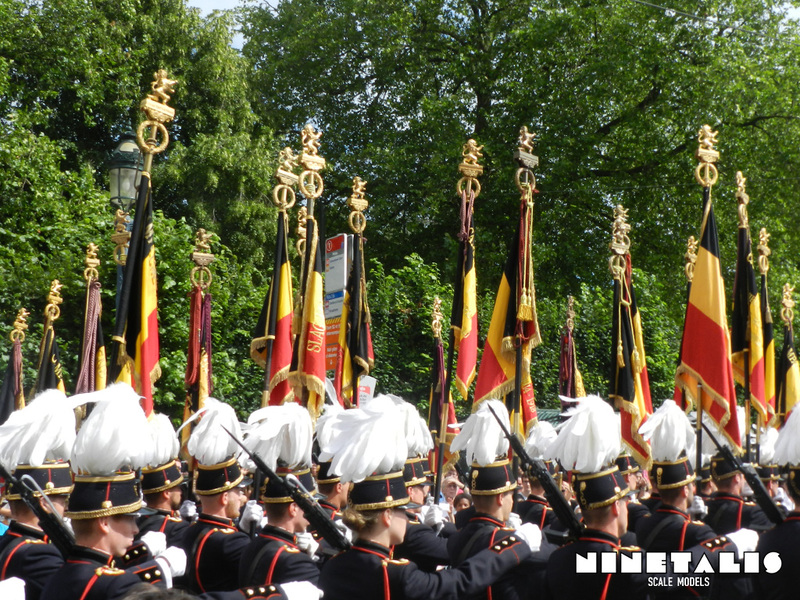 Students from the Royal Military Academy, marching with Belgian flags. 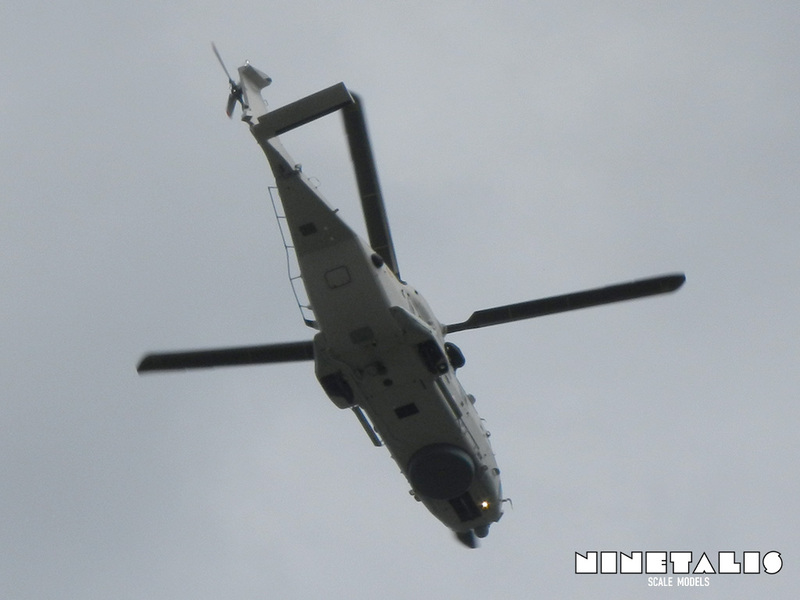 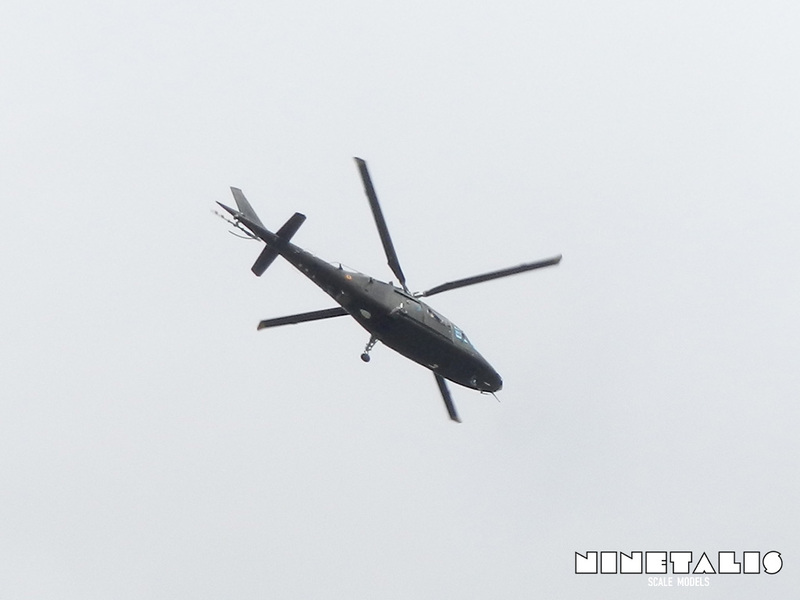 An unsung bird in our Belgian air force, the Agusta A109. 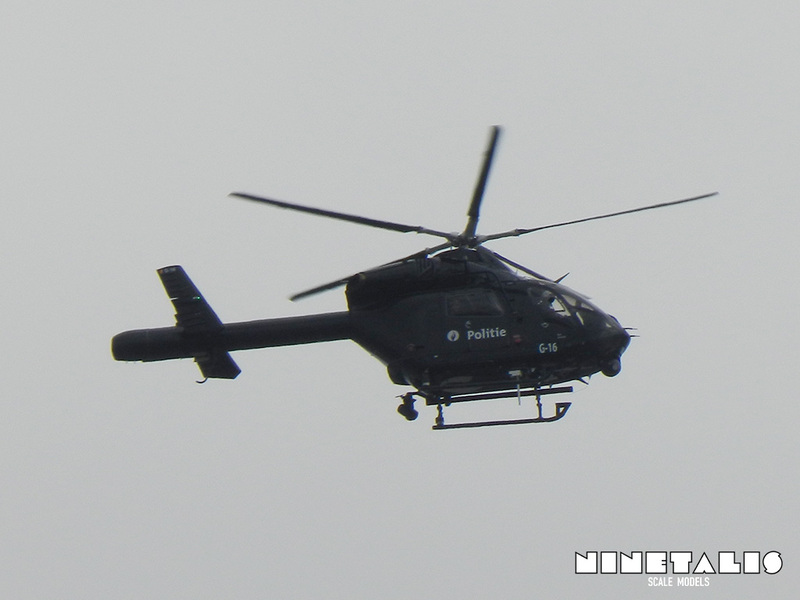 A Police helicopter, keeping an eye over the display as a safety precaution. 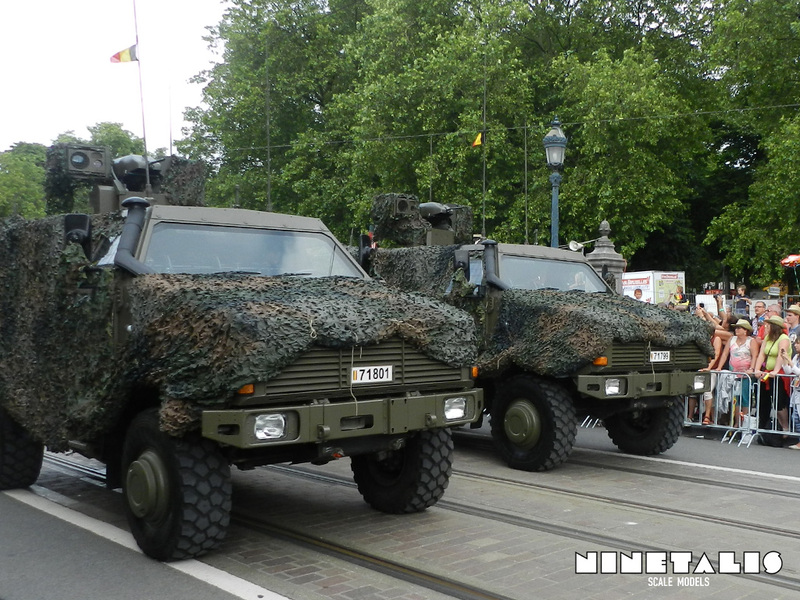 A good view on the special camouflaged uniforms, unique to the Belgian Army. 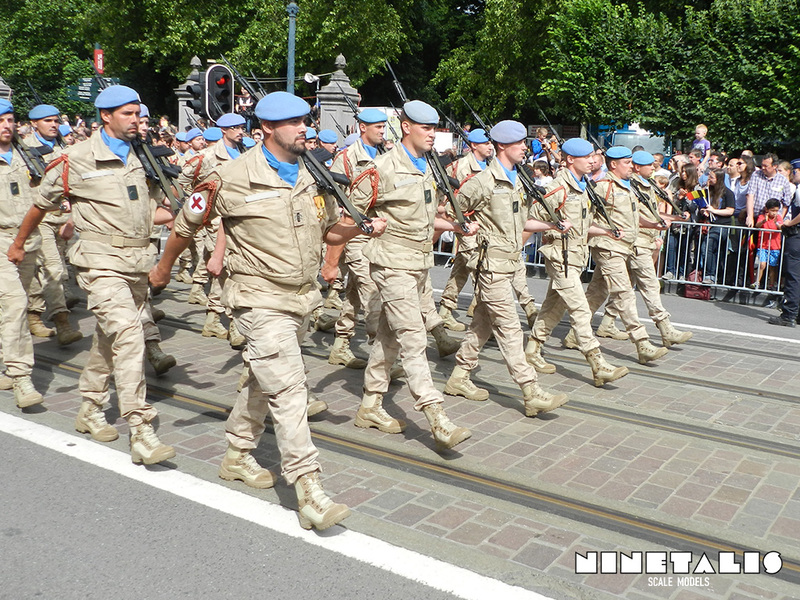 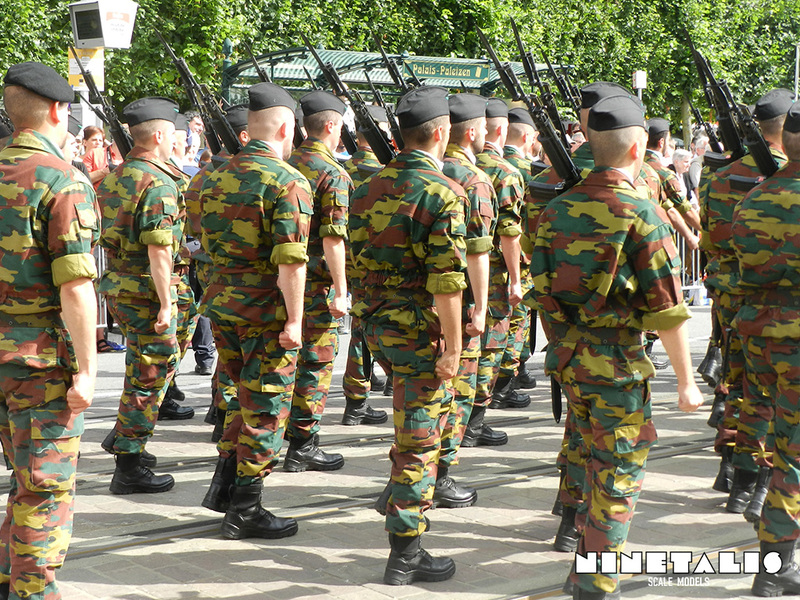 A detachment of Belgian NATO soldiers on the march. 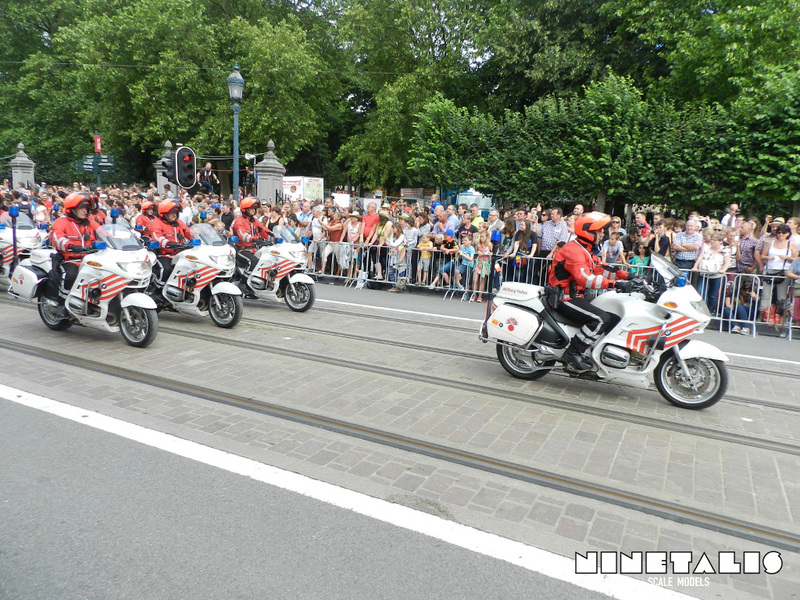 The bikes of the Military police were also performing during the display. 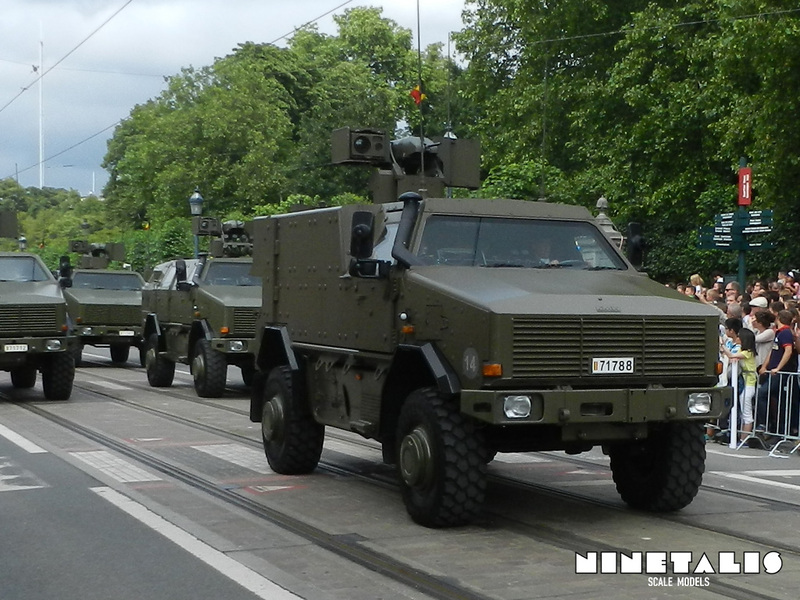 A Dingo of the ‘Command Post’, followed by four ‘Infantry’ Dingo’s. 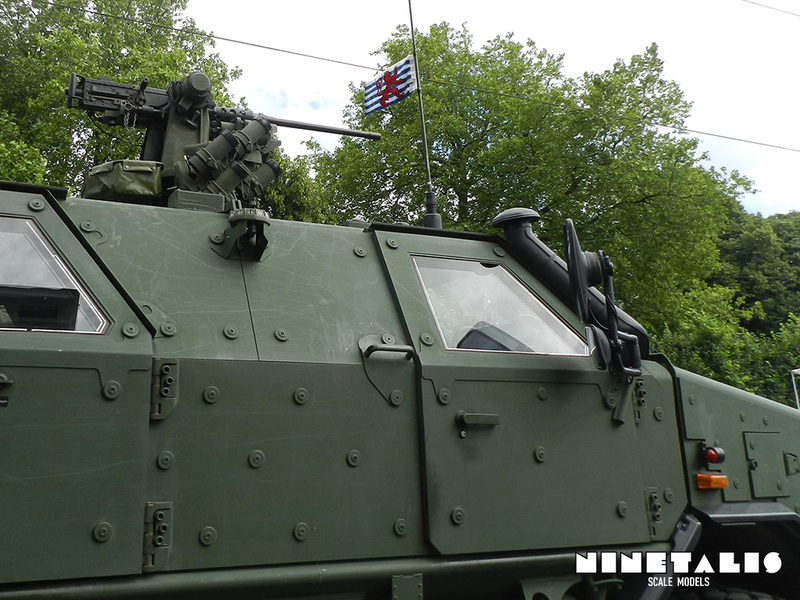 A close up shot of the armament of the Luxembourg ‘Scout’ Dingo’s. 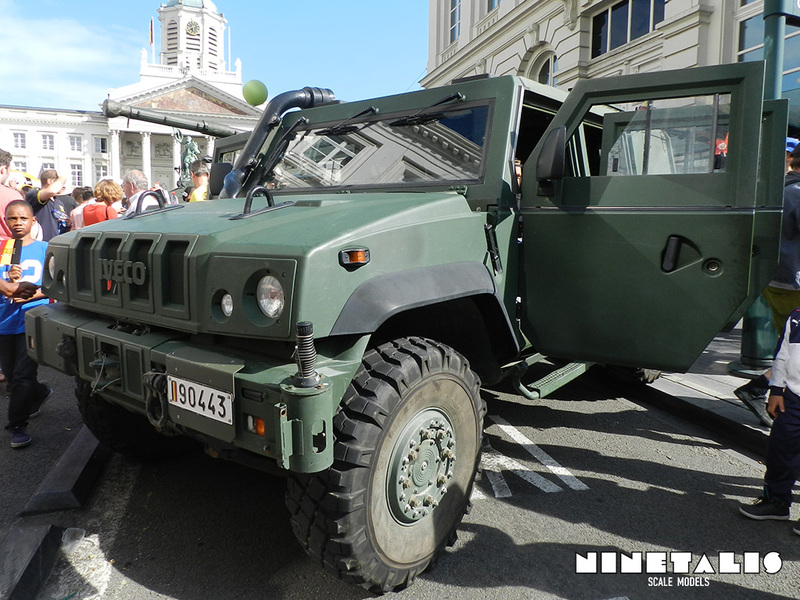 Plenty of static displays were present too, including this Dingo of the Infantery. 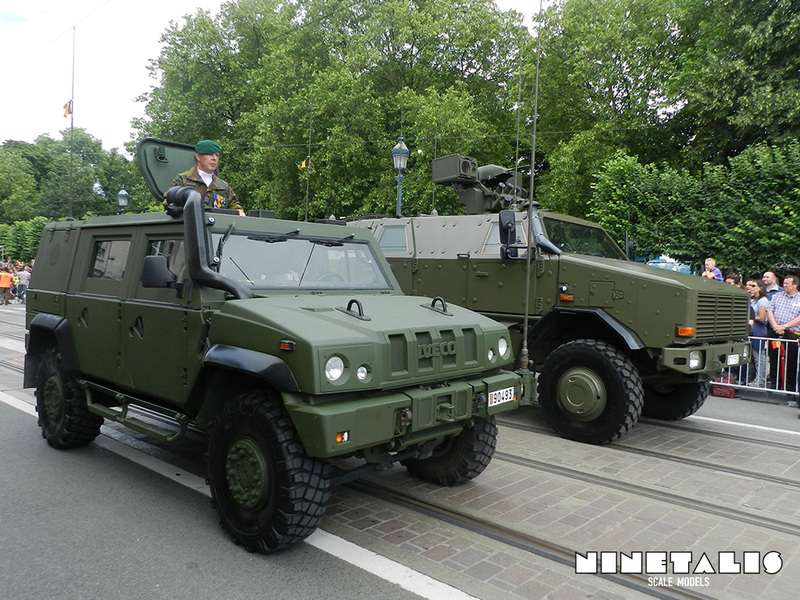 A Dingo and Iveco Lynx driving side by side. 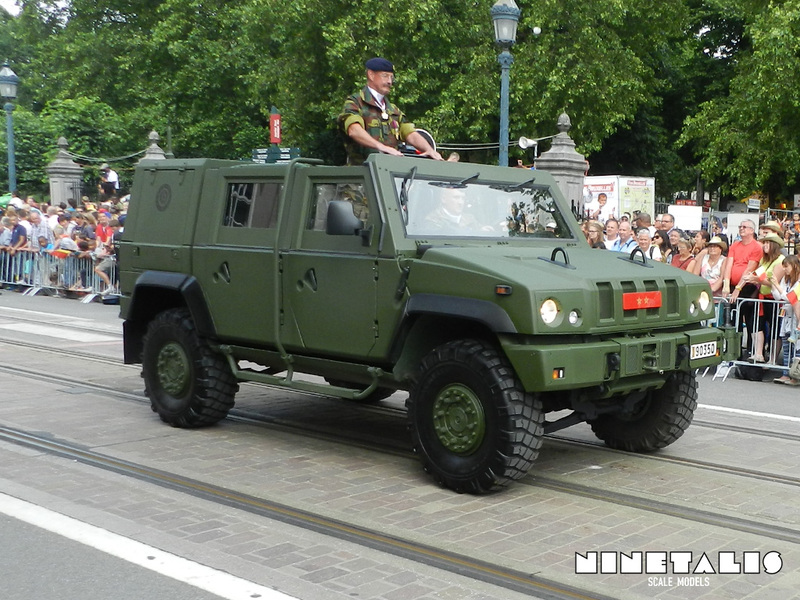 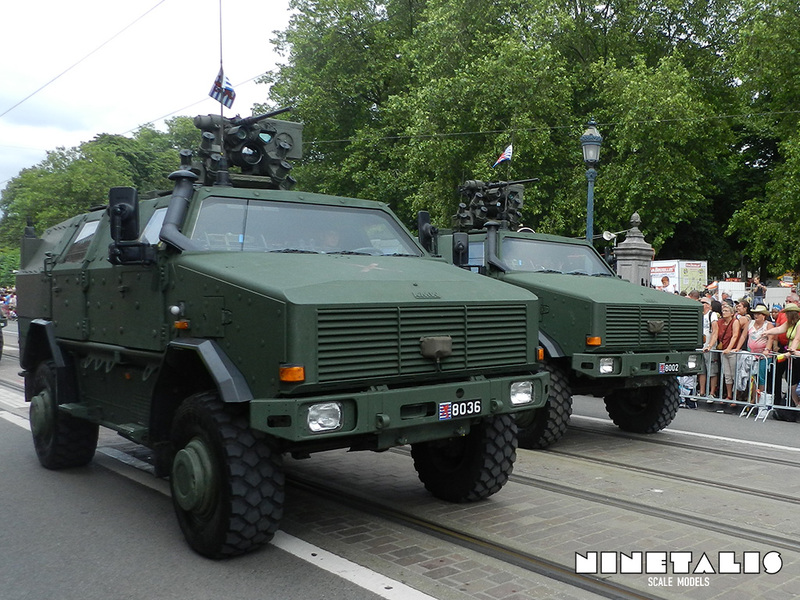 An Iveco Lynx of the Belgian Military Police. 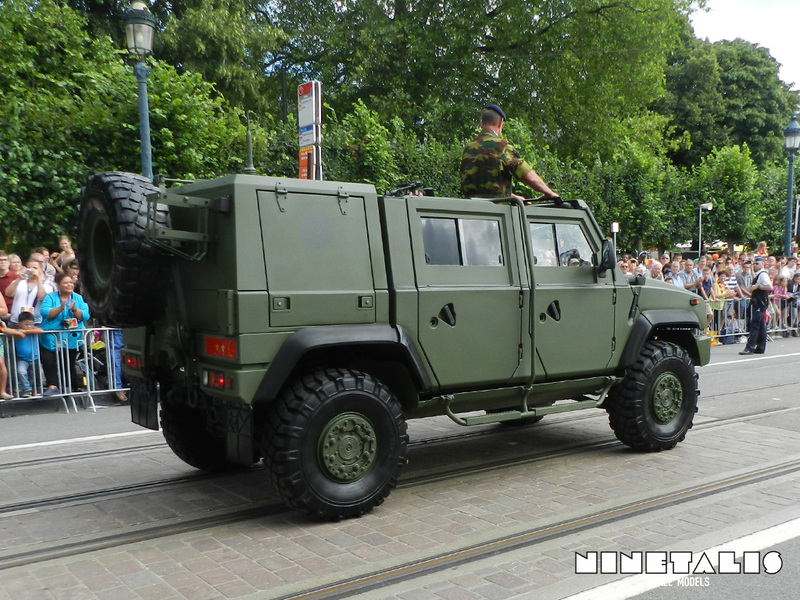 A different view of Belgian Military Police Iveco Lynx. 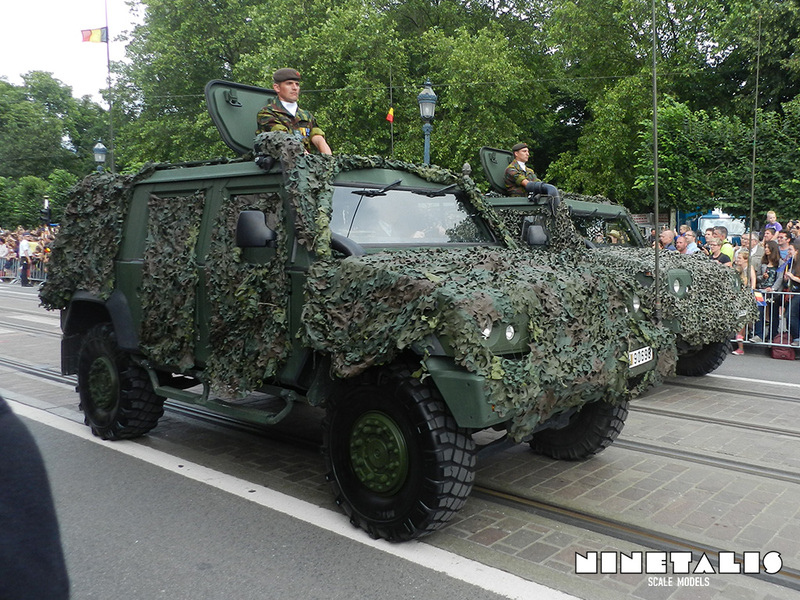 Two staff company Iveco Lynxes in ‘Commando outpost’ camouflage. 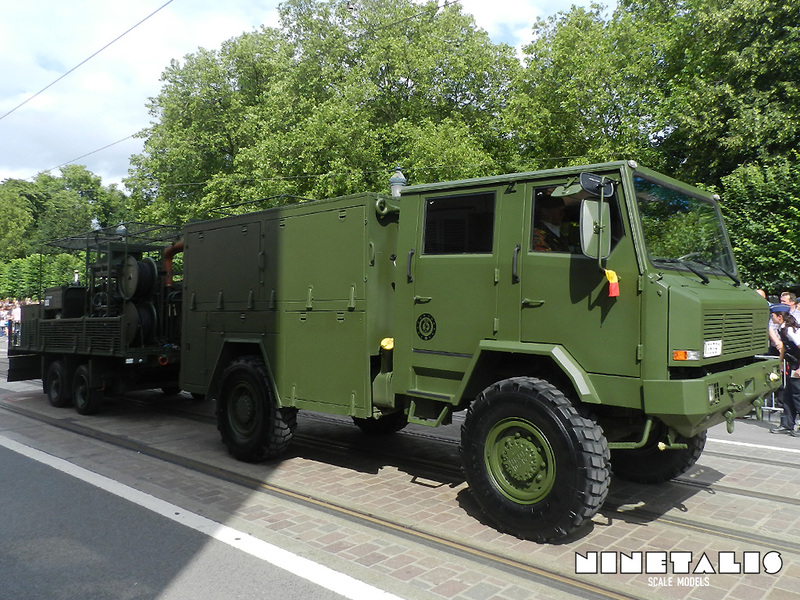 A view of an Iveco Lynx LS. 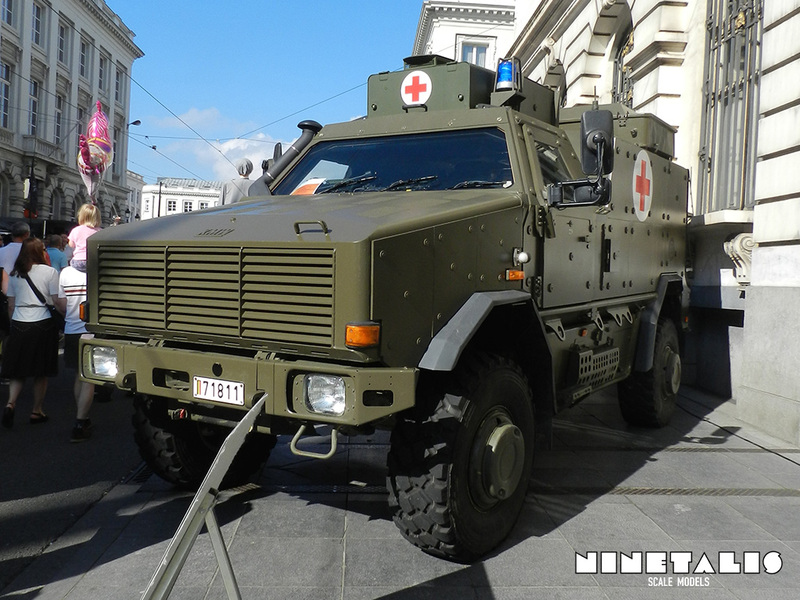 Another static vechicle was this Iveco Lynx, which people could go and sit inside in. 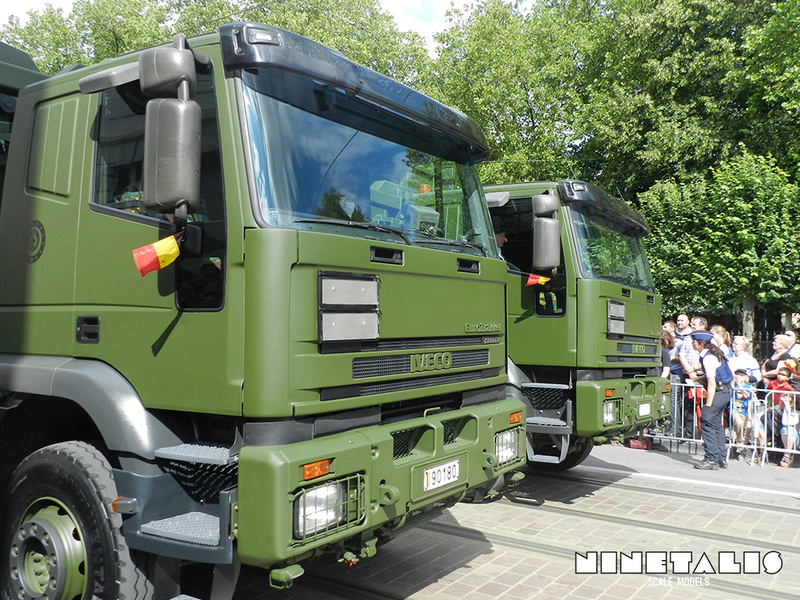 Two Astra 8ton trucks from the Support Detachement. 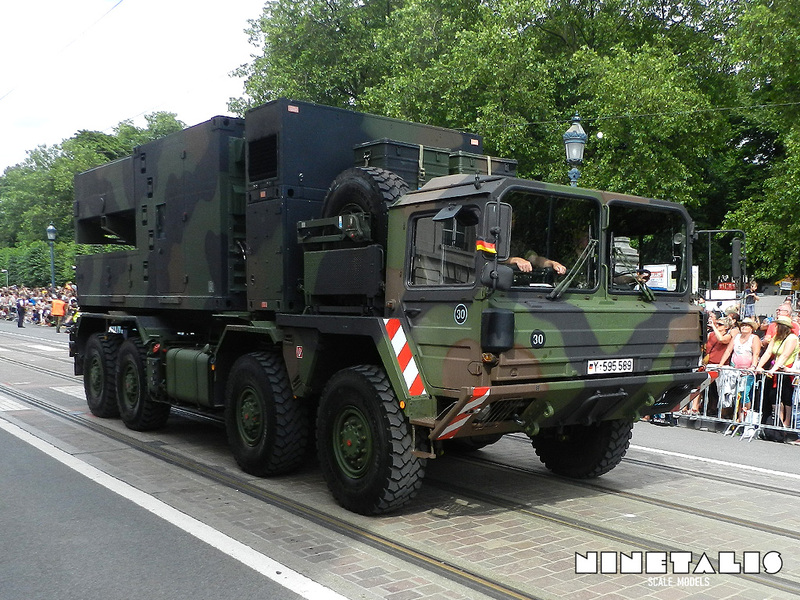 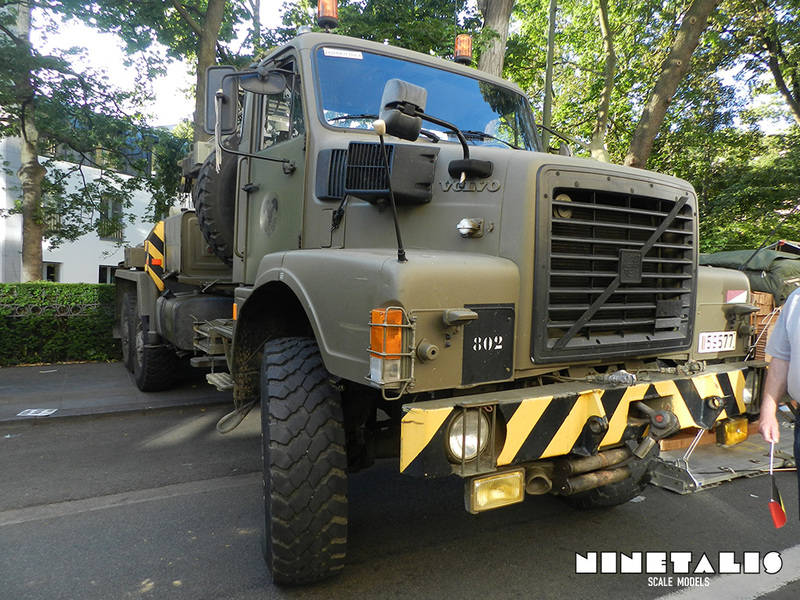 A German Bundeswehr MAN MLC30 truck, equipped with a Cobra Radar System. 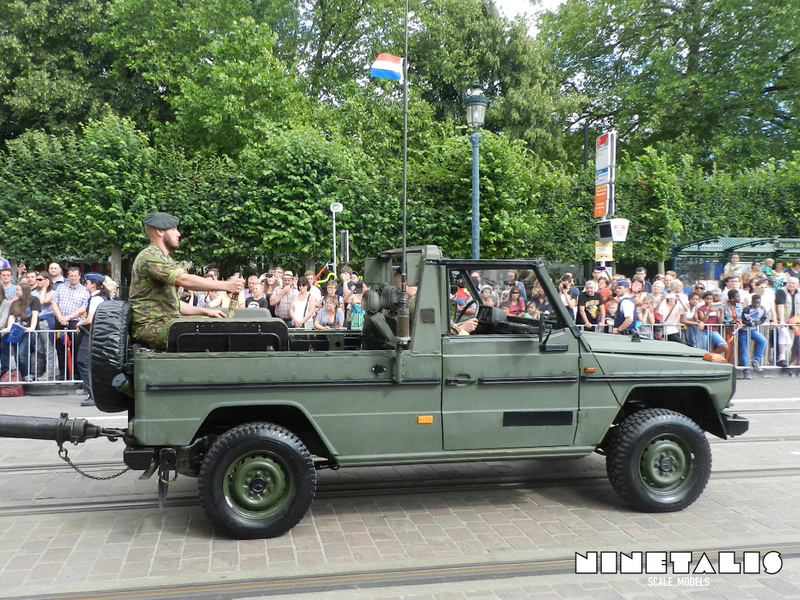 A Netherlands army Mercedes Benz Jeep, pulling 120mm mortar carriers. 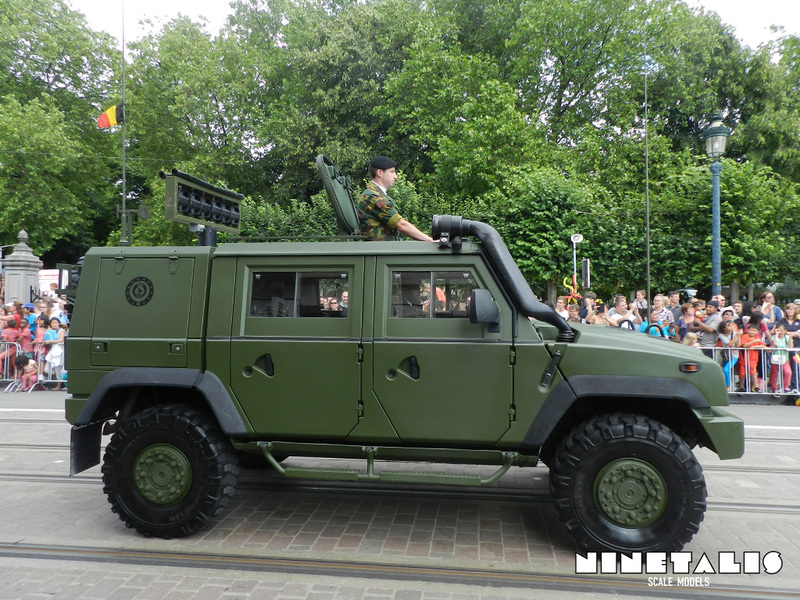 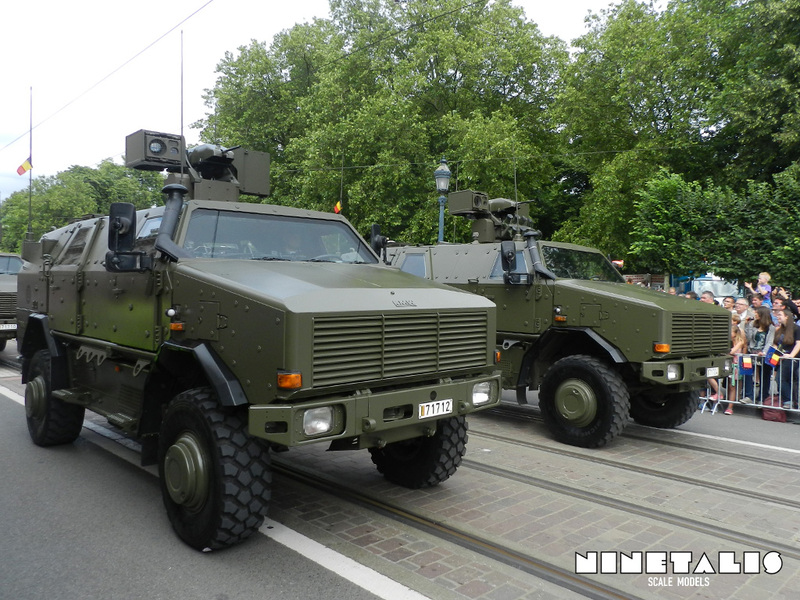 A full view of the Netherlands Mercedes Benz Jeeps with 120mm Mortar carriers. 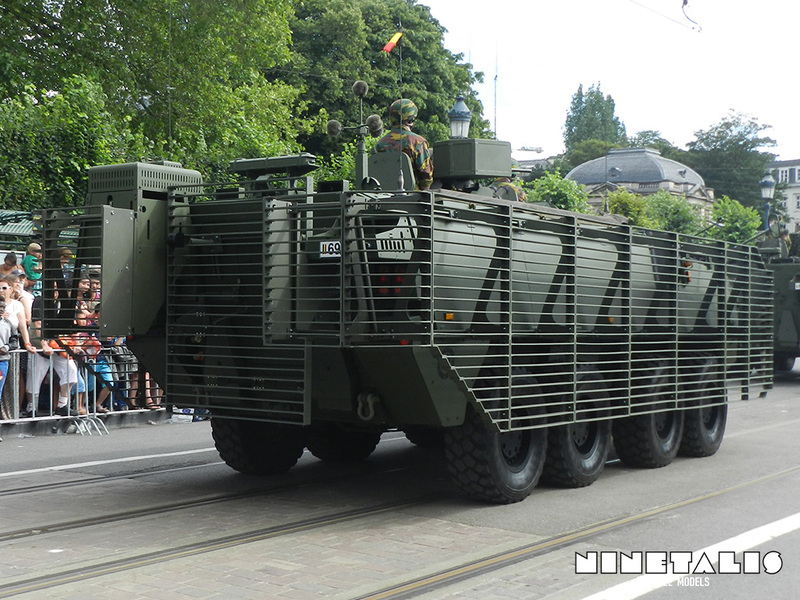 An ‘infantry’ Piranha’ equipped with newly equipped SLAT-Armour, ment to protect the crew and vehicle from rocket attacks. 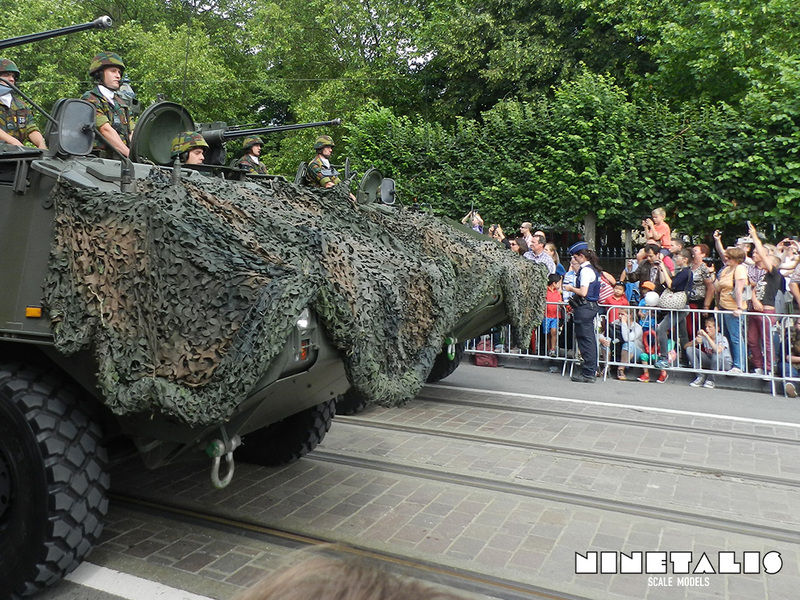 equipped with camouflage nets as ‘Commando outpost’ camouflage. 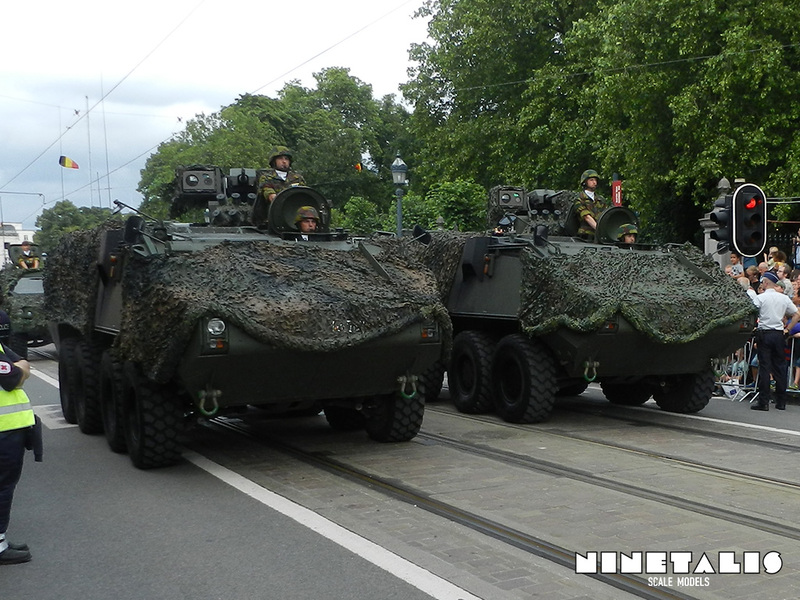 Two ‘infantry’ Piranha’ equipped with a ‘Direct Fire 30’ gun and camouflage netting. 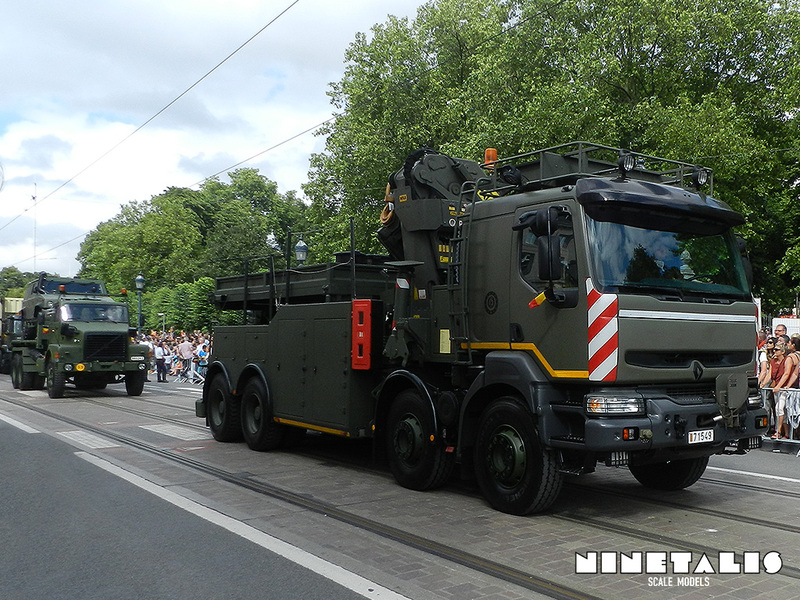 The back view of a ‘standard’ Engineering and Mine-clearance Detachment Piranha. 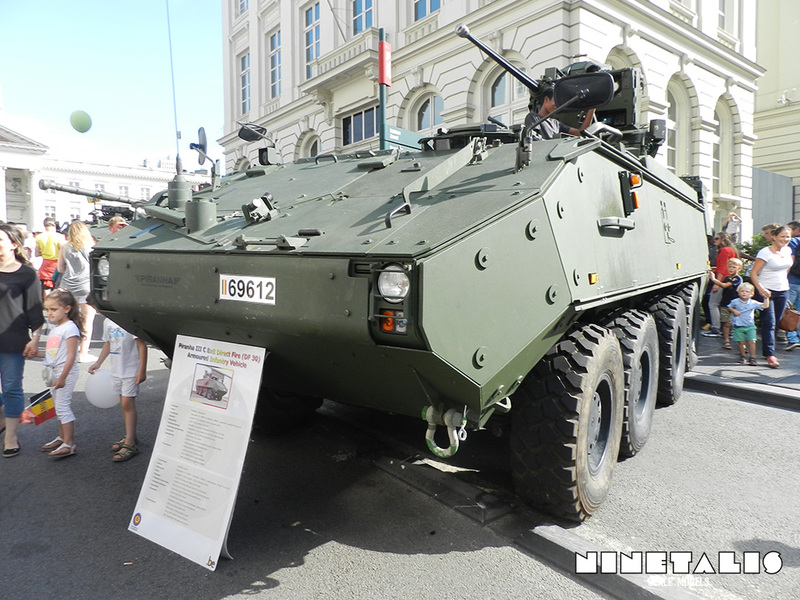 A Piranha with an SOB-shovel from the Engineering and Mine-clearance Detachment. 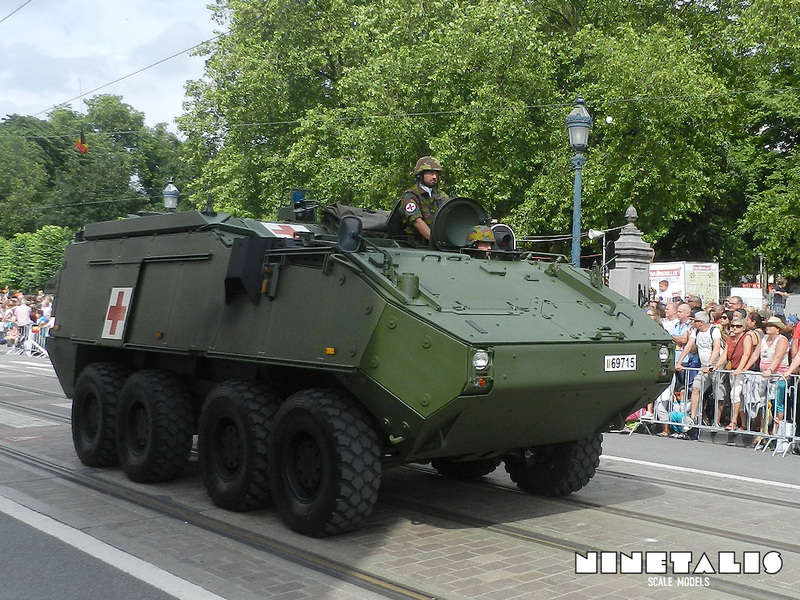 A ‘Medical’ Piranha, for transportation of wounded soldiers over rough terrain. 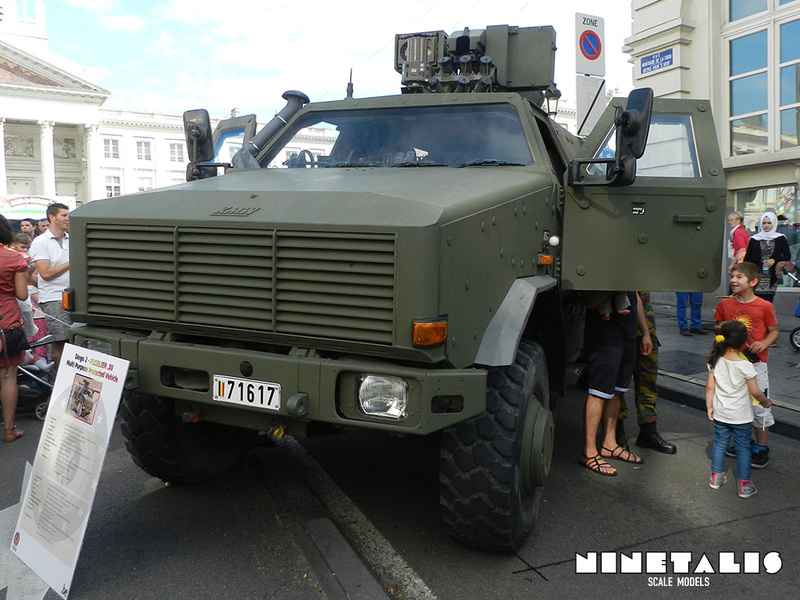 A static display of ‘infantry’ Piranha’ equipped with a ‘Direct Fire 30’ gun. 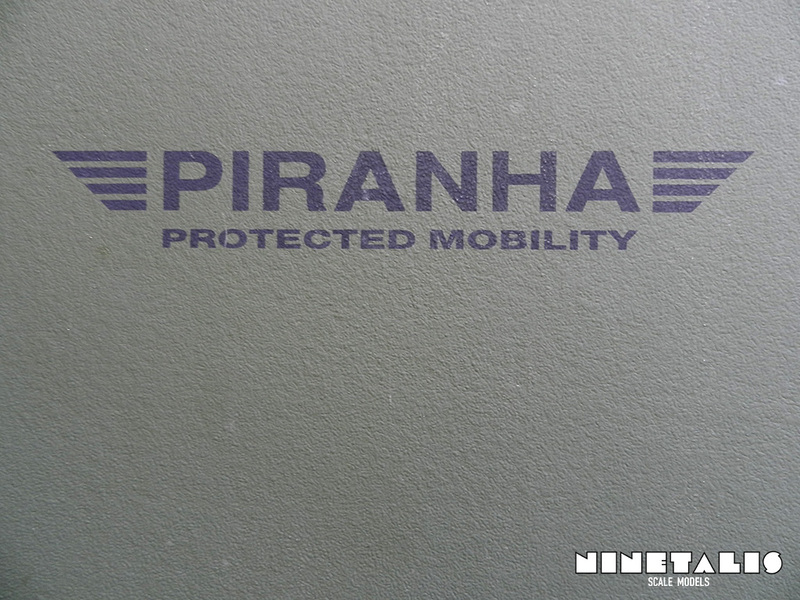 A close up from the Piranha logo, found on most of the Piranha vehicles. 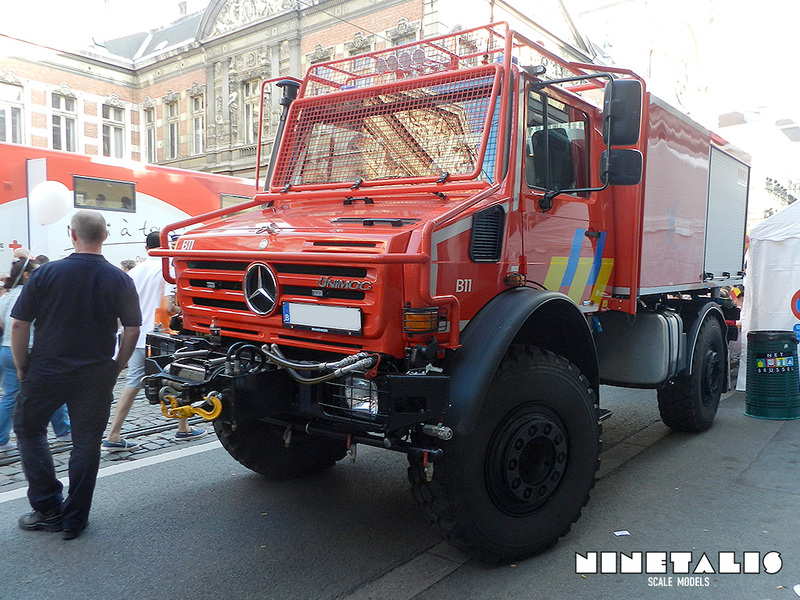 A Unimog on static display, providing the base for a death ride cable. 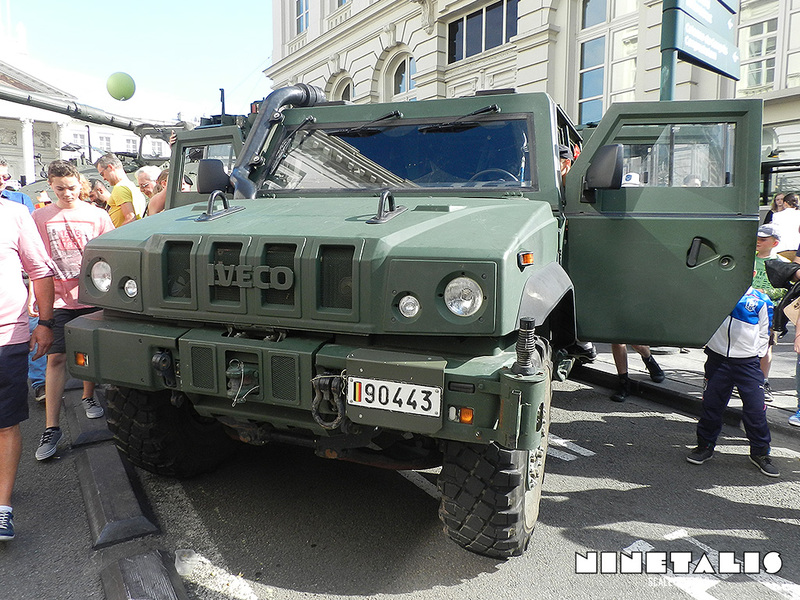 Note the upside down Mercedes logo on the grille. 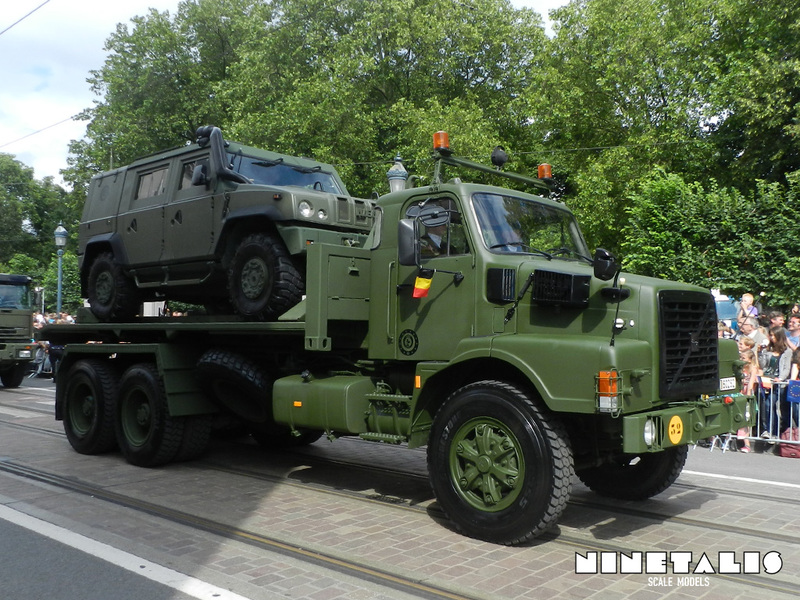 A Volvo Amplirol truck transporting an Iveco lynx. 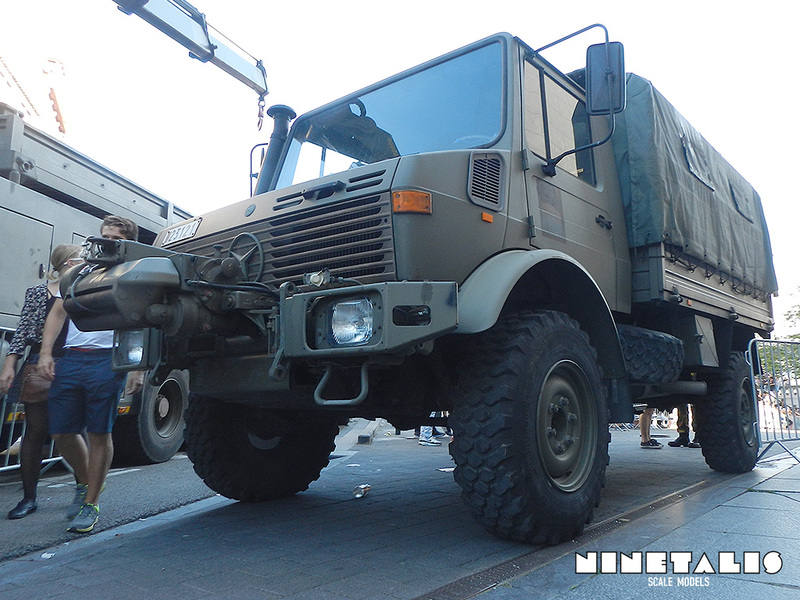 And last but not least was this URO-Truck of the disinfection detachment. 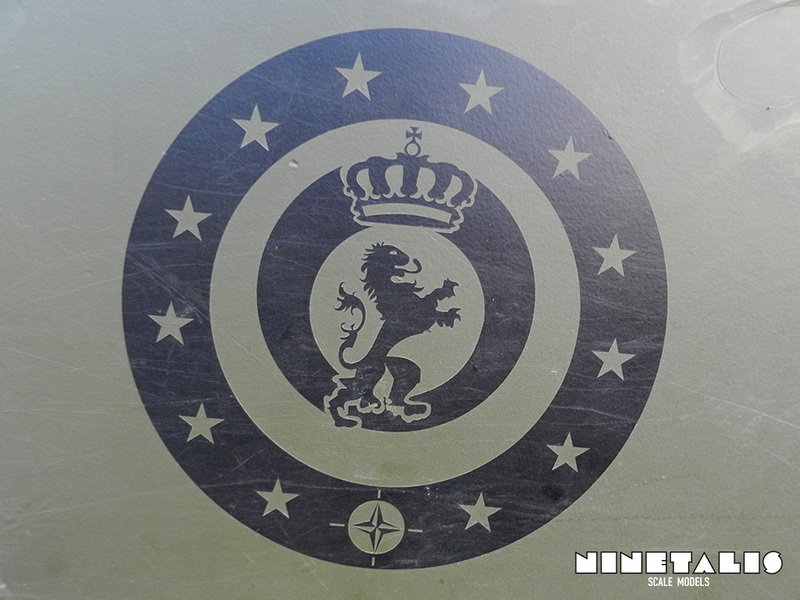 And that was it. 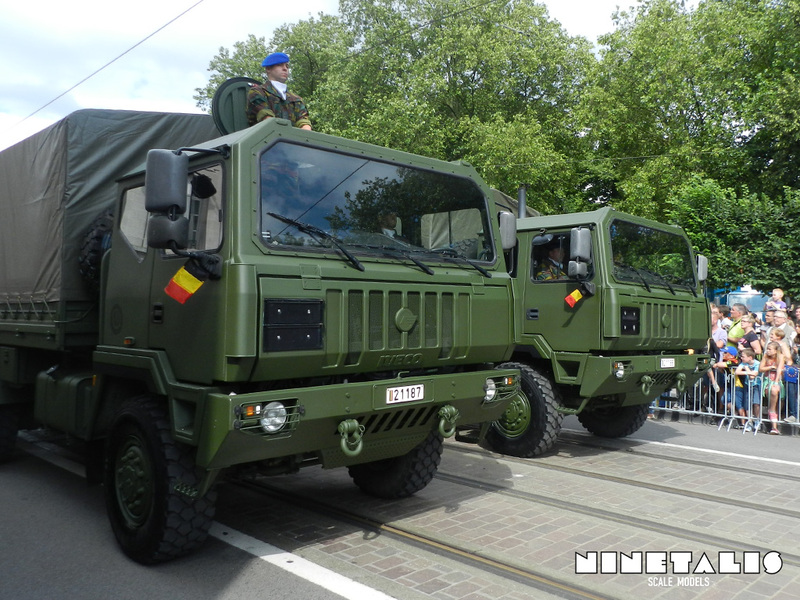 I hope you enjoyed the pictures and got some inspiration to build a Belgian scale model as a next project!